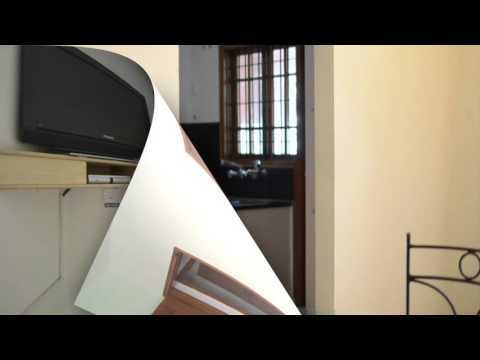 This Service apartment in Ulsoor is located close to Ulsoor Lake behind Manipal Centre on M.G. Road, Bangalore, 1.5 kms from Trinity Metro station on M.G. road, 4 kms from Vidhana Soudha and Raj Bhavan, Bangalore, 6.5 kms from Bangalore City Railway station and about 37 kms from Kempegowda International Airport, Devanahalli, Bangalore. 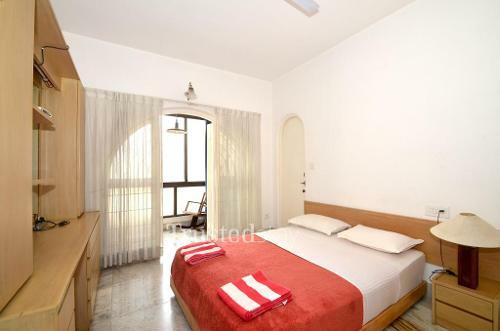 Very close to this service apartment there are Wine and dine places like Carnival de Goa and Ente Keralam restaurants are 500 m away, very famous Commercial street where all verity of shopping can be done, is just 1.2 kms from this service Apartment. This Service apartment complex offers a total 27 rooms from nine numbers of 3BHK units spread in Ground, First, Second and Third floor. 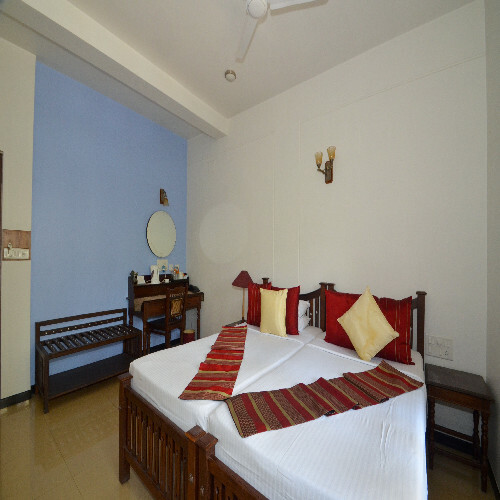 All rooms are fully equipped with AC. TV and attached bath rooms. 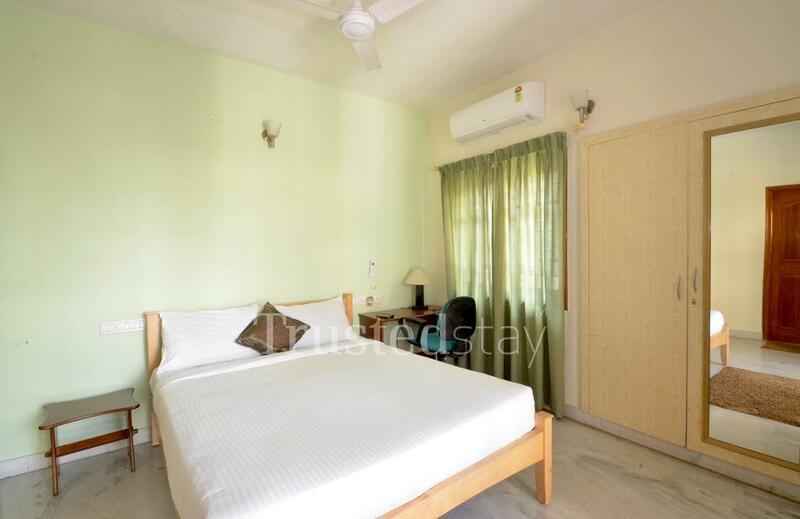 one can book either a room or a 3 BHK unit as per the need, there is an in house Gym area with basic equipment like Tread mill, a central kitchen fully operational manned by our own cook who prepares breakfast and prepares food as per the guest request. 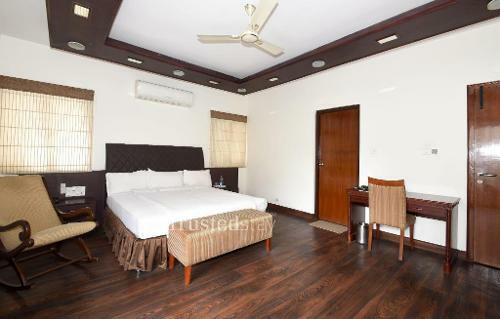 Ideal for Corporates and family, short or long stay.